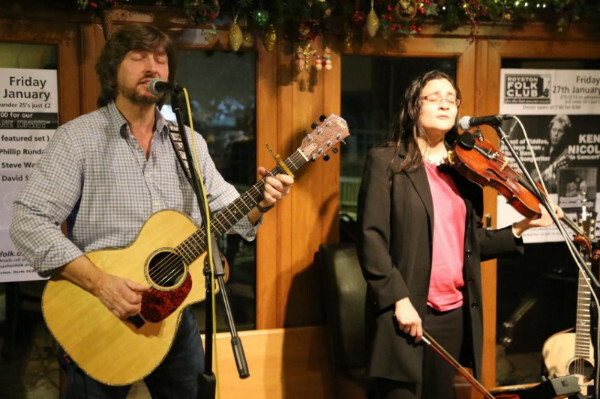 Martin Kaszak and Faradena Afifi are a duo performing a rich variety of acoustic music and original material from Folk to Country Blues and more modern songs . Martin is known for his warm vocals and finger-picking guitar and Faradena is a talented singer and musician providing beautiful close harmonies and playing viola and cello. Their first official performance was supporting John Renbourn and Wizz Jones and Martin and Fara’s performance attracted much praise and attention from these Folk/Blues legends. Their first album ‘The Bakers Son’ is out now.